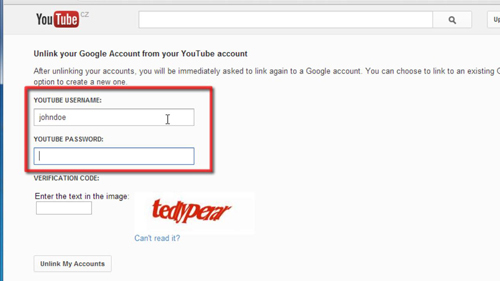 In this tutorial, you are going to learn how to unlink Google and YouTube accounts. Please be aware that if you created your YouTube account after May of 2009, that account cannot be unlinked from your Google account. 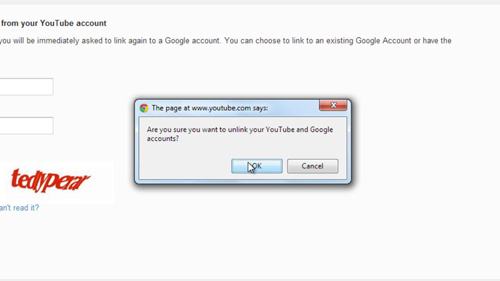 To unlink accounts created before May of 2009, first sign out of all your Google accounts (this includes YouTube) and then visit this page: “https://www.youtube.com/my_account_unlink.” Next, you will enter the YouTube username and password that you used before you linked it with your Google account. Finally, enter the verification code and then click the “Unlink my accounts” box. Click “OK” in the dialog box that appears. Here we will not unlink the account as it was created after 2009. You will be asked to link your YouTube account to a new Google account, which can be either an existing account or a new one that you create. That is the simple process for learning how to unlink Google and YouTube accounts.